PUTNAM COUNTY, N.Y. — The New York League of Conservation Voters, which works to make environmental sustainability a top political and policy priority in New York State, has announced its endorsement of Sen. Terry Gipson for New York’s State Senate District 41, which inncludes several Putnam towns. 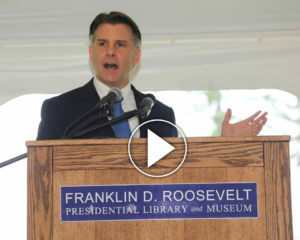 If re-elected, Gipson plans to fight for an expanded Environmental Protection Fund – which creates jobs, builds local parks and protects wilderness areas – and to seek reform the Brownfield Cleanup Program, which is critical to jump start the local economy in Hudson Valley cities such as Poughkeepsie. Gipson also responded to the endorsement. “I’m proud that my record on environmental issues facing the Hudson Valley and New York State has earned me the support of the New York League of Conservation Voters,” said Gipson.